A soft tee with a bandana-inspired print. A modern print updates this everyday essential. This infants' t-shirt features a graphic inspired by bandana patterns. Look closely and you'll see the design includes tiny Trefoils. A button on the shoulder makes it easy to take on and off. 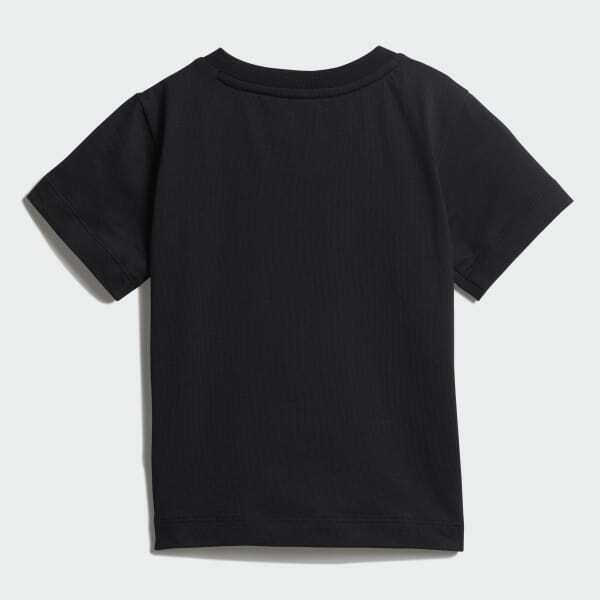 It's made of an all-cotton jersey for a soft feel.